← Is Business Advice from the 19th and 20th Century Still Valid in the Internet Age? Not too long ago a friend of mine asked how to tell a reputable plumber or tradesman from the “cowboy” fixit men (those who talk fast, do poor work, and never return to fix their messes) who seem to be everywhere here in London. They all have websites and email, they all tout excellent references and talk convincingly. Some even offer a free evaluation. What makes this a difficult decision is that in many places in London people don’t really know their neighbours (lots of second homes and transient expatriates who come and go frequently), so getting a reference from someone you know is not that easy. The way I see it, there is actually a very simple way to determine the reputable from the “flim-flam” man, and it’s based on the principle of “shadow of the leader“. This is a key principle in our work in understanding corporate culture and its impact on the performance of an organisation. Organisations are shadows of their leaders; that’s the good news and the bad news! In general, the principle of “Shadow of the Leader” says that the behaviour of people within an organisation tends to be a shadow, or reflection, of the behaviour of the leaders at the top. One of the best places to quickly understand this principle is to look at the big banks. The cutthroat culture of RBS several years ago was a clear shadow of Fred Goodwin. The “above the rules” behaviour at Barclays Bank concerning the Libor rate fixing scandal a direct reflection of Bob Diamond and those he surrounded himself with. Culture shows up in how people behave, how they treat customers and each other, and in their work habits. Now, returning to my friend looking for a trustworthy and quality tradesman, we need look no further than the back of his van for a clue into the quality of the individual. If you are looking for someone who takes pride in their work, who will treat your home with respect, who takes pride in their own equipment, who understands the importance of quality, then take a look at the back of his van. A man’s van is a direct shadow of his work! The two van’s above show very clearly the principle of a visible corporate culture and the mindset (attitude) of the employee and his company. Want to know which would be the most reputable and high work-ethic tradesman to hire? Pretty obvious when you know what to look for. This entry was posted in consulting, corporate culture, Human Psychology, John R Childress, John's views on the world, leadership, Organization Behavior, the business of business and tagged Barclays Bank, Bob Diamond, cullture, employee engagement, flim flam, Fred Goodwin, libor rate, London, man in a van, poor quality workmanship, quality, Ralph Waldo Emerson, RBS, reputable workmanship, shadow of the leader. Bookmark the permalink. 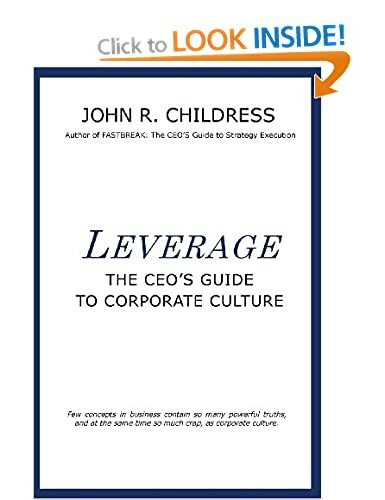 1 Response to Corporate Culture is visible if you know what to look for . . . 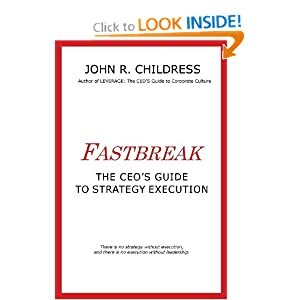 It really is true John – the culture is visible from the top – in practice, not in verbiage. And therein is the dilemma for many professional service firms – the seduction of acquisitiveness can trump the intended ethos of the organization. I think it is so critical to gauge success based on more variables than just increasing revenue, and I fear that most companies diminish the relevance of those other factors over time.